Allows administrators to easily control access to Windows apps based on user groups. 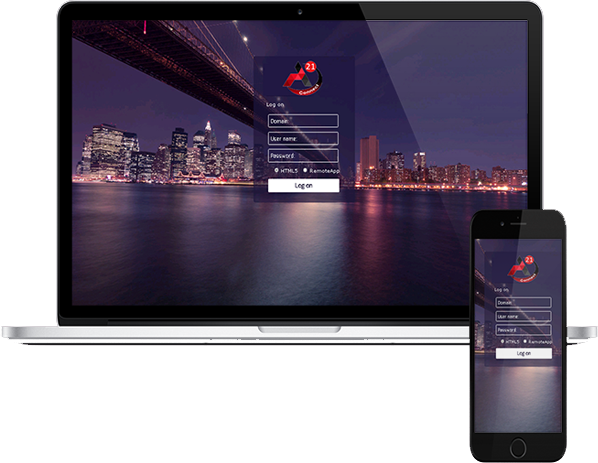 iOS and Android mobile client access to A21 connect Gateway is available with the new A21 connect HTML5 connection client. Users access their applications and files from any web browser using the HTML5 or Windows client. It is the fast, simple and affordable way to instantly deliver existing Windows applications to users anywhere. Acting as Citrix, it is compatible with Windows XP, VISTA, W7, W8, W10 and 2003/2008/2012 systems (32 and 64 bits). It is installed in few minutes and it does not ask for any complex configuration nor technical knowledge. The Universal Printer has been extended to all kind of web access, including HTML5. Installation has been streamlined using role-based installation with automatic setup. A21 Connect has been the most successful promoter of cloud computing and Web Access technologies. Even away from your desk, A21 Connect enables you to connect to your Remote Desktop and to start your Windows applications with your favorite web browser (Safari, Chrome or IE...). A21 Connect allows users to be productive anywhere by providing a Windows desktop – like experience on any device. It adds significant enhancements to the Windows capabilities, now supporting even Smartphone and Tablets. A21 Connect seamless client provides fast, efficient access - even over high-latency dial-up lines and Internet connections. I is completely transparent to your users. Remote applications look and feel exactly the same as natively-running applications. Therefore, you save time and training costs. 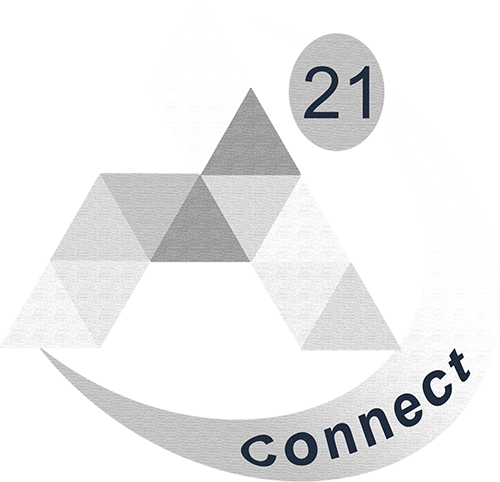 What is A21 Connect Software? A21 Connect centralizes all remote connections on a single platform that is securely shared between users. 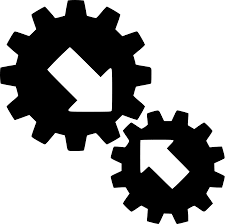 With support for hundreds of integrated technologies – including multiple protocols – along with built-in enterprise-grade Web Portal tools, global and granular-level access controls, and robust mobile apps to complement desktop clients for Windows, Android and Mac, It is a Swiss Army knife for remote access. A21 Connect empowers IT departments to drive security, speed and productivity throughout the organization, while reducing inefficiency, cost and risk. Based on a unique HTML5 technology, A21 Connect Mobile Web is the reliable, scalable and cost effective solution to web enable any Windows application.It is a sophisticated product and our concern has always been to hide such complexity, providing the easiest-to-use solution to web enable any Windows application.It will help you to build web solutions that meet, or even exceed, your customers needs. Enable seamless web access to applications, data, and desktops from any browser on a desktop or mobile device, anywhere. Keep employees’ productivity high—A21 Connect HTML5 Client provides the same workspace experience, no matter the device they use. 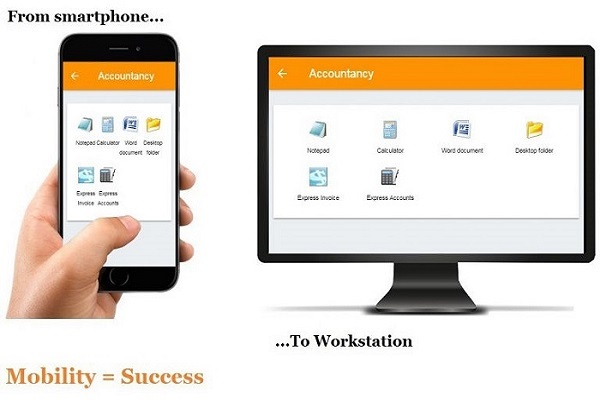 A21 Connect App allows end users to work effectively on Smartphones and tablets while accessing applications, remote desktops, or data. Controlling your published applications and desktops is now made even easier with the use of A21 Connect App. 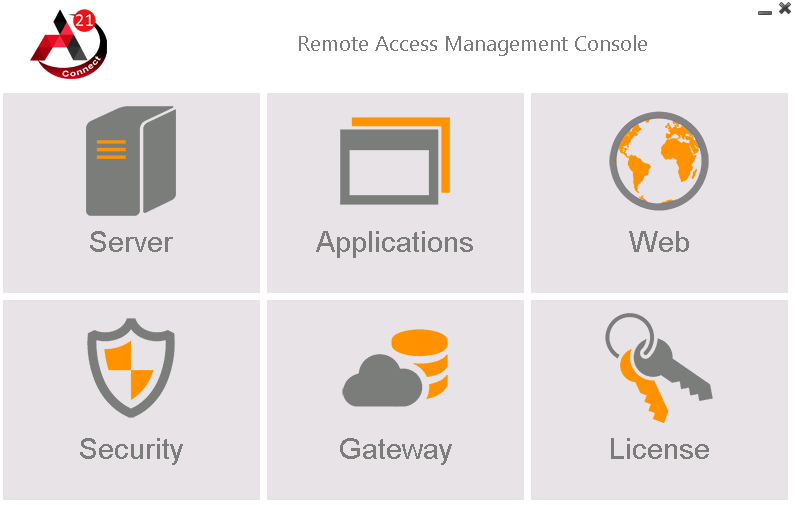 Now Access Your Remote Desktops and Applications From Mobile and Tablets in One click! - The host site must be a A21 Connect Mobile Web or Enterprise system. - The 11.30 release (and over) must be installed on this host. Download the perfect A21 Connect Add-On for Remote Desktop Security. Contact us by choosing any method from below. We'll get back to you promptly.